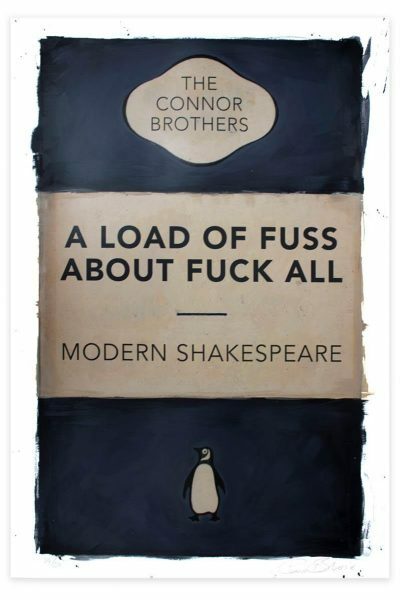 Brandler Galleries has in its possession a wide variety of Connor Brothers’ artwork. Under the mysteriously compelling guise of Missouri-born twins Franklyn and Brendan Connor who escaped to New York ‘to make sense of the world’ they had been deprived of. 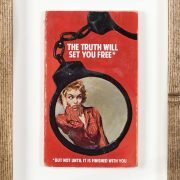 The Connor Brothers, a myth fabricated by London-based art dealers Mike Snelle and James Golding, rapidly gained popularity and fame following their creation of playful yet equally profound works. As the duo experienced increasing success for eighteen months under the pseudonym of the Connor Brothers, it was decided to reveal their true identities, resulting in even greater success. 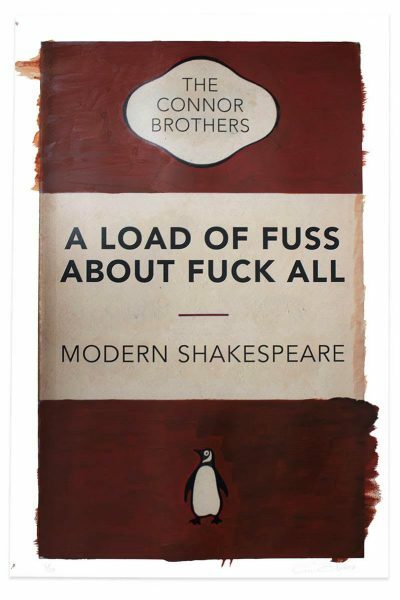 By combining Old Masters’ works and Mills and Boon romantic book covers with witty texts seeking to make fun of a modern, materialistic world, the Connor Brothers blur the lines between truth and fiction, as seen in pieces such as ‘First of All Nothing Will Happen and a Little Later Nothing Will Happen Again,’ 2015. The juxtaposition of traditional yet modern, cynical yet lighthearted works create a thought-provoking tone, as evident in pieces such as ‘Whatever You Do Will Be Insignificant,’ 2015, and ‘The Truth is Rarely Pure and Never Simple,’ 2017. 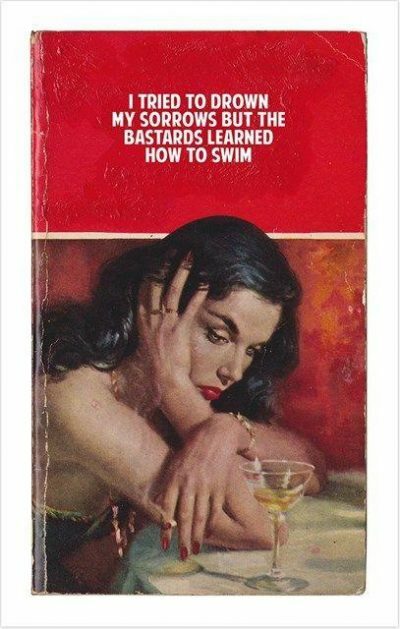 While certain works adopt a more sincere, political lens, such as ‘Poor People,’ and ‘I Hate EU,’ both 2016, others embrace a more subtle, elegant look, illustrated in pieces such as ‘I Became Insane with Long Periods of Horrible Sanity,’ 2017, and ‘She Generally Gave Herself Good Advice but She Very Seldom Followed it Up,’ 2017. 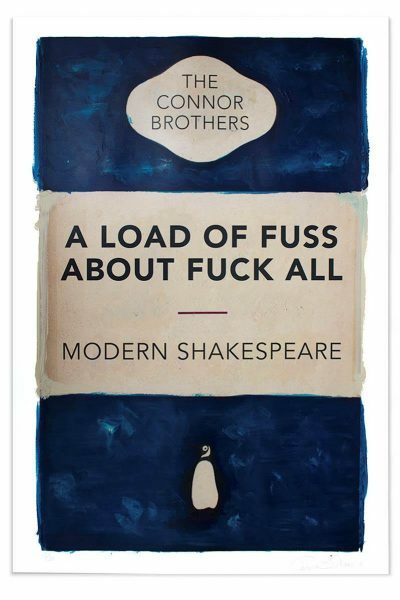 The Connor Brothers present a ‘playful twist on the conventions of romantic fiction,’ in the words of journalist Mick Brown (‘The Connor Brothers: An exclusive interview,’ www. Telegraph.co.uk. 2014), offering comical interpretations of modern infatuation with wealth. fame, and social media. 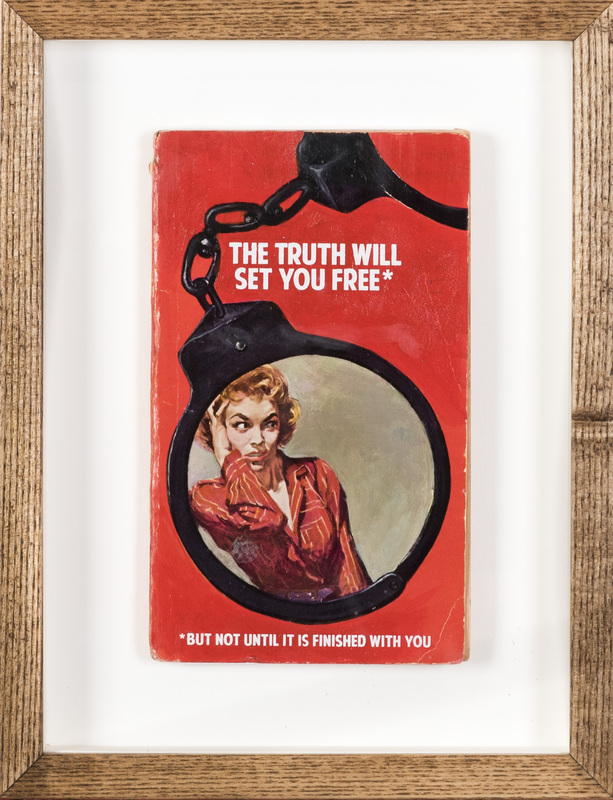 From framed originals with silkscreen and acrylic to larger painted posters, Brandler Galleries possesses a wide variety of Connor Brothers’ pieces, with a quirky style embodied by works such as ‘Tell Me Beautiful Untrue Things,’ 2018, and ‘It Never Got Weird Enough for Me,’ 2018, both included in the Pulp Fiction series.